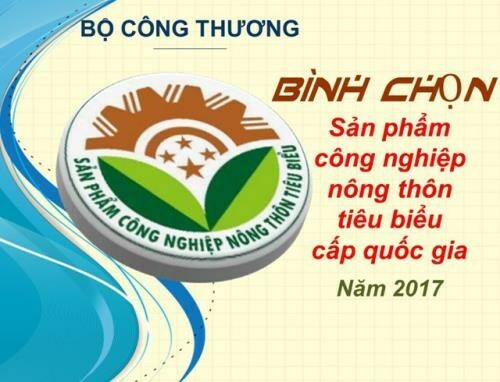 Hanoi (VNA) – The Agency for Regional Industry Development under the Ministry of Industry and Trade announced on August 18 that it will honour and grant certificates to outstanding industrial products from rural areas in 2017. Hoang Chinh Nghia, deputy head of the agency, said the selection aims to honour high-quality products which could satisfy both domestic and foreign customers and have potential for production and market expansion. State agencies will devise plans to support production development, promote trade, and expand the campaign “Vietnamese people prioritise Vietnamese goods”, he said. Honoured products will be introduced at trade fairs at home and abroad such as Germany and China. The selection of outstanding industrial products will be implemented at district, provincial, regional, and national levels. The agency will select about 100 out of the 171 products registered for outstanding certificates this year in the fields of handicraft, processed agro-forestry-fishery, beverages, equipment, machine and spare parts, among others.